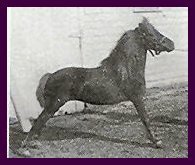 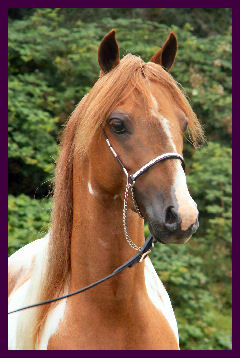 STEP-N-STONE CINNAMON (HOF) (aka -"Cinner"). 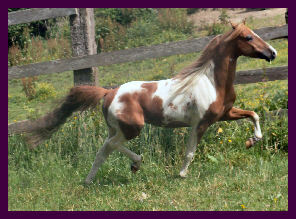 The first time I saw this exciting stallion I knew he was something special . 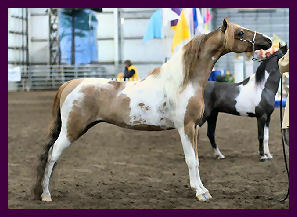 Cinner is breed to be a champion. 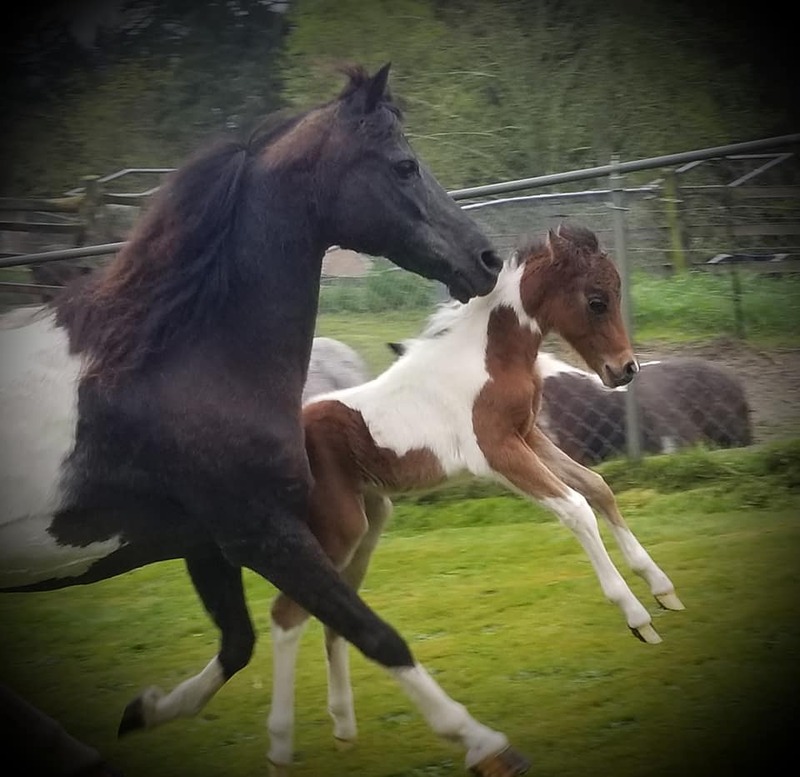 He is by Hall of Fame stallion ‘Scotch Label ‘and out of Step- N -Stone ‘s beautiful Hall Of Fame mare Sandman’s Cody’s Cinnamon NTA” it would be hard to go wrong with those parents. 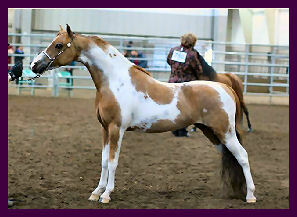 He is Foundation certified but was shown as a Classic. 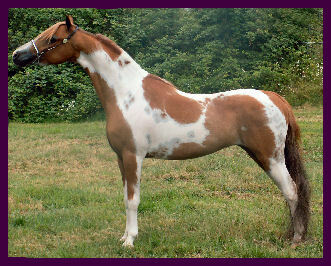 Cinner exceeded our expectations!! 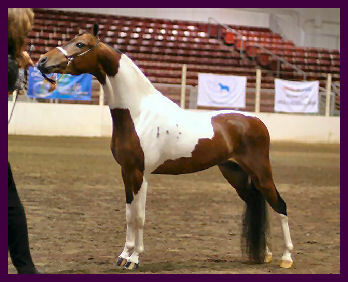 He has been Champion or Reserve Champion stallion at every show! 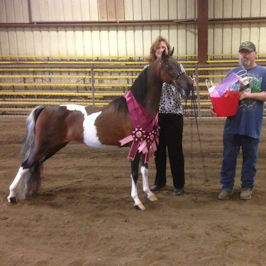 He has been named Grand champion stallion under 15 Judges! 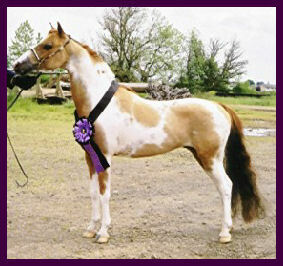 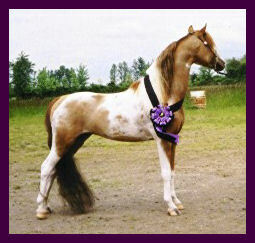 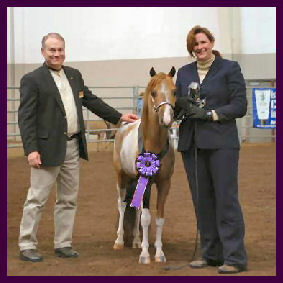 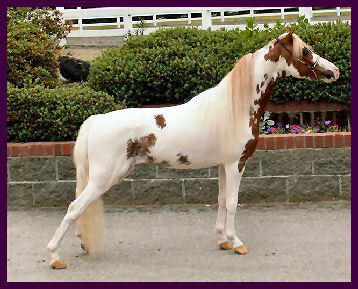 In 2006 Cinner was named ASPC National Area Champion Classic stallion! 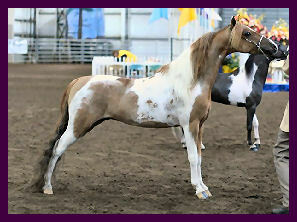 He’s is now a HOF pony! 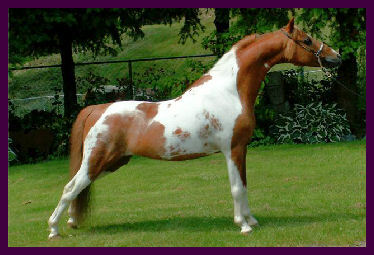 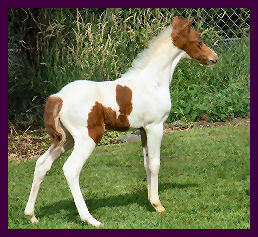 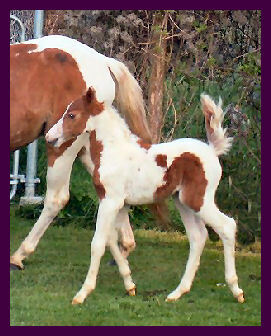 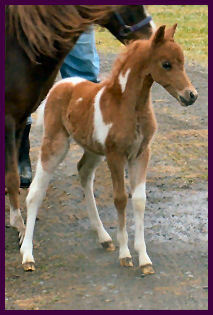 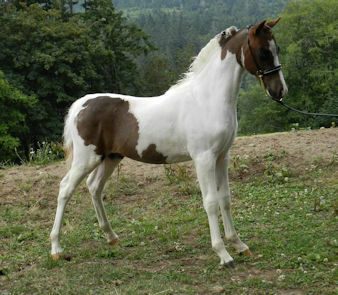 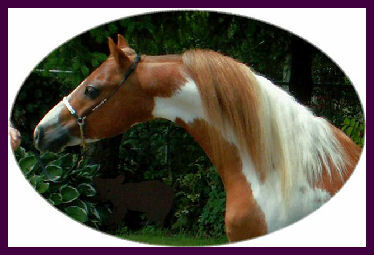 He is a beautiful stallion with fantastic motion and the added bonus of being Homozygous Pinto. 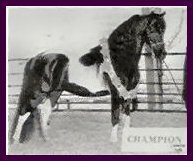 Cinner has been producing top quality foals that include multiple halter and futurity winners , multiple HOF and Congress Champions! 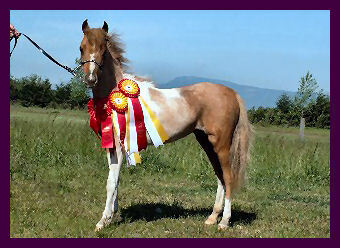 Named 2005 Top Ten All Star Pony! 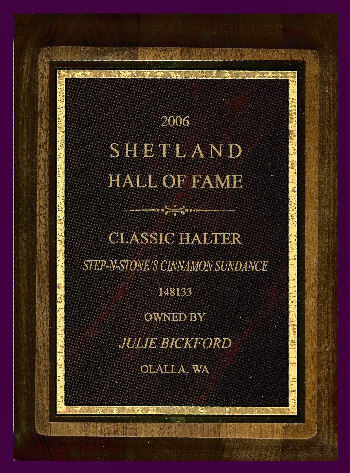 Grand and Reserve Champion Classic Stallion under every judge he has shown under in 2004!